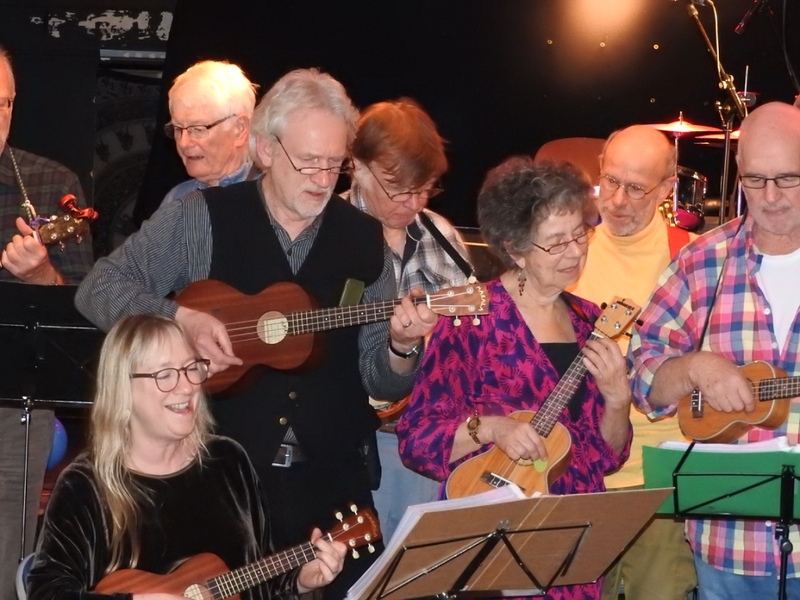 LEWKULELE has been meeting weekly since 2013 when a few brave friends, with no previous experience of, or interest in, playing a musical instrument, were persuaded that they should take up the ukulele, and unwittingly started changing the cultural landscape of Lewes. Where once evenings around this genteel Sussex town had resonated with the sound of orchestral, chamber and choral ensembles, there began to be heard the uncoordinated strumming of ukuleles – and much uncontrollable laughter. But, amazingly, from those humble, stumbling beginnings has emerged LEWKULELE, a weekly session where up to 30 strummers meet to play, sing, laugh and drink - not necessarily in that order and certainly not simultaneously. LEWKULELE meets every Monday evening at Lewes ConClub. LEWKULELE is open to ALL, regardless of ability or previous experience. LEWKULELE ensures that anyone can PARTICIPATE IMMEDIATELY. LEWKULELE will make you SMILE, even when you’re down in the dumps! LEWKULELE will give you the tools to annoy your family and friends. LEWKULELE will send you home HAPPY, even on a bad day! LEWKULELE is free, except for a weekly donation of £1 per strummer.